The 85th Major League Baseball All-Star Game will be played on July 15 in Minneapolis. We are accustomed to contemporary sports "jewel events" being branded in a formal and cohesive way, but this was not always the case. The first "real" MLB All-Star Game logo dates back to 1952. The game, hosted by the Philadelphia Phillies at Shibe Park, is the only Midsummer Classic to have been shortened due to rain. The first nationally televised All-Star Game witnessed a Jackie Robinson home run and a National League win over the American League, 3 to 2 in 5 innings. 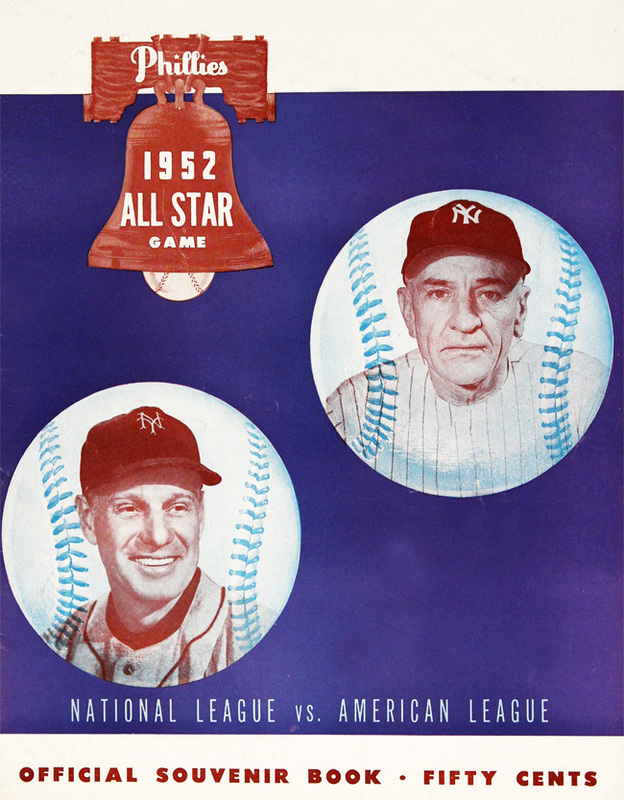 The significance of the 1952 All-Star Game—at least for our purposes—lies in the fact that the event was promoted with a formal visual identity. This had never been done before. One-off "logos" may have been featured in scattered applications, but the 1952 ASG saw a true branding strategy employed by the Phillies and by Major League Baseball. The 1952 logo was truly revolutionary—the concept of a "real" MLB All-Star Game logo didn't really take off until the early 1970s. By contrast, the official 2014 All-Star Game Style Guide contains hundreds of visual assets that have been deployed in the lead-up to the big event.